The Veranda collection brings chic summer vibes to both indoor and outdoor spaces. 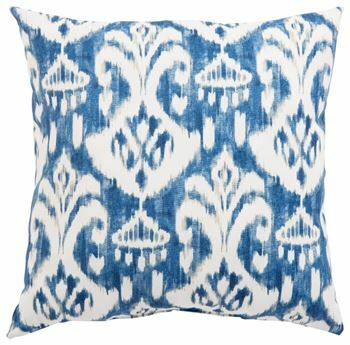 A fresh, modern take on traditional shibori dyeing patterns, the Rivoli Fresco design lends bohemian inspiration in a bold and vibrant colorway. The Veranda collection brings chic summer vibes to both indoor and outdoor spaces. A fresh, modern take on traditional shibori dyeing patterns, the Rivoli Fresco design lends bohemian inspiration in a bold and vibrant colorway. Indigo and white tones create stylish contrast on this durable polyester cushion.